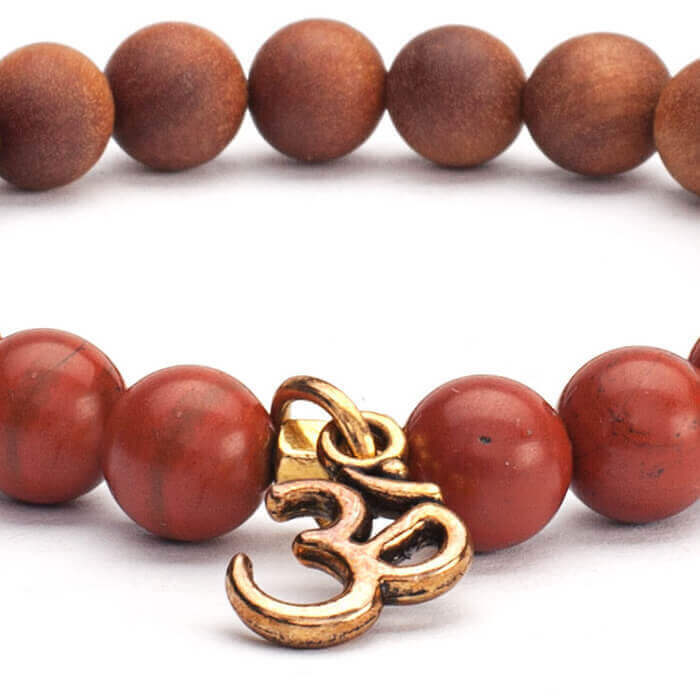 Wrist Mala Bracelet in red jasper and sandalwood scented beads. 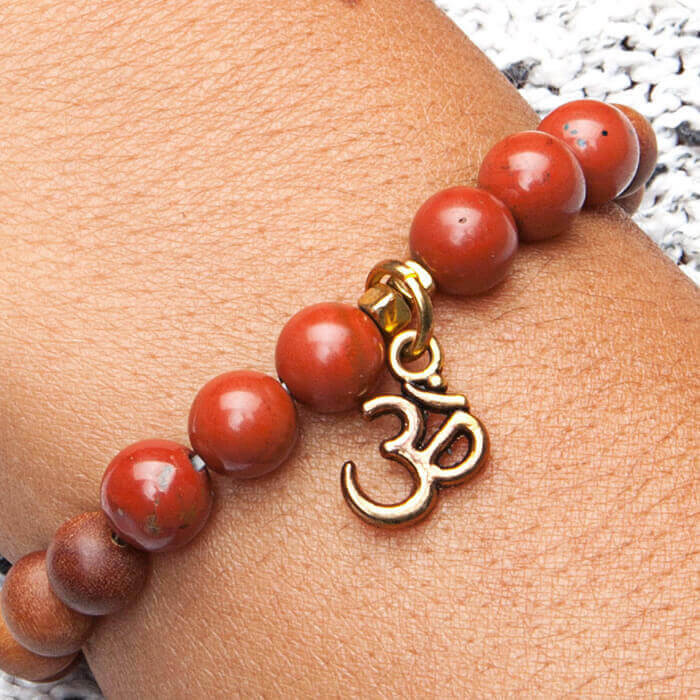 A wrist mala bracelet in Red Jasper and Sandalwood Scented Beads with Om Charm. The bracelet is strung onto elastic. The inner diameter unstretched is approximately 5cm and the inner circumference is approximately 15cm stretched. The beads are approximately 8mm. In India Sandalwood is given divine status and is thus very commonly used in mala beads. The fragrance of the sandalwood is said to be one of the most pleasing to the Gods and is considered cooling, calming and soothing. Sandalwood is said to promote humility and focuses the mind to aid in meditation. Already wearing it all the time. Goes well with Mala Beads that I am empowering with 'Om'.